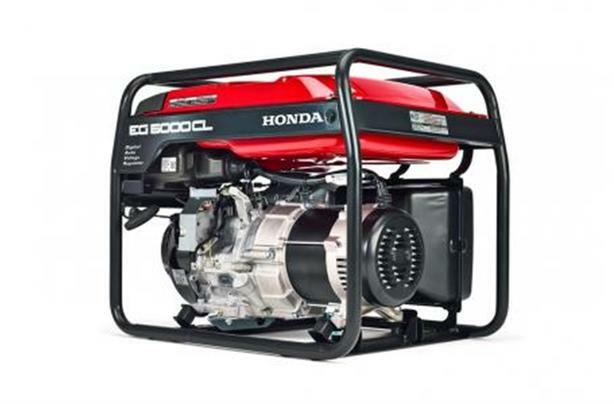 $196 Freight, Assembly, and Pre-Delivery Inspection Engine Type: Honda GX390T2 OHV, 4-stroke, air-cooled Displacement: 389 cc Length: 681 mm (26.8 in.) Width: 530 mm (20.9 in.) Height: 571 mm (22.5 in.) Weight: 77.5 kg (170.9 lb.) AC Output: 5,000W Fuel Tank Capacity: 24 L (5.28 Imp. gal.) Noise Level: 73 dB(A) Run Time: 7.5 / 11 hrs.